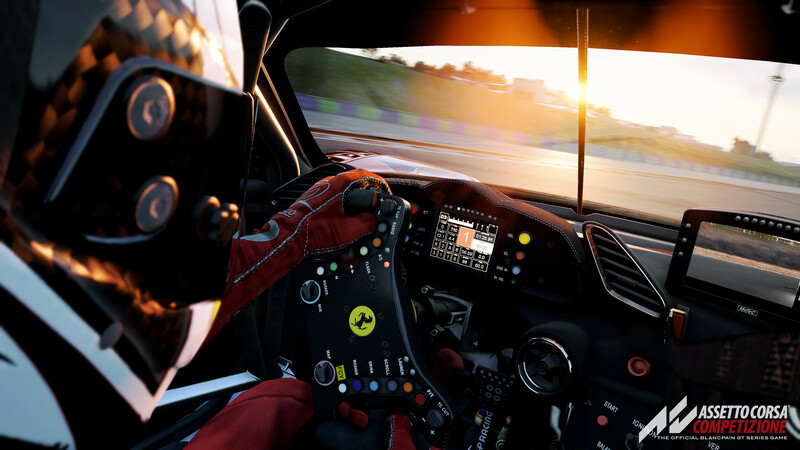 Kunos Simulazioni deployed Release 7 of their Assetto Corsa Competizione Early Access version. The new build is adding more features, updates, fixes, and optimizations to the Early Access programme together with a new game mode, called Custom Race Weekend. Further Multiplayer and Ratings updates, optimizations, improved collisions and graphical, gameplay and user-interface updates. 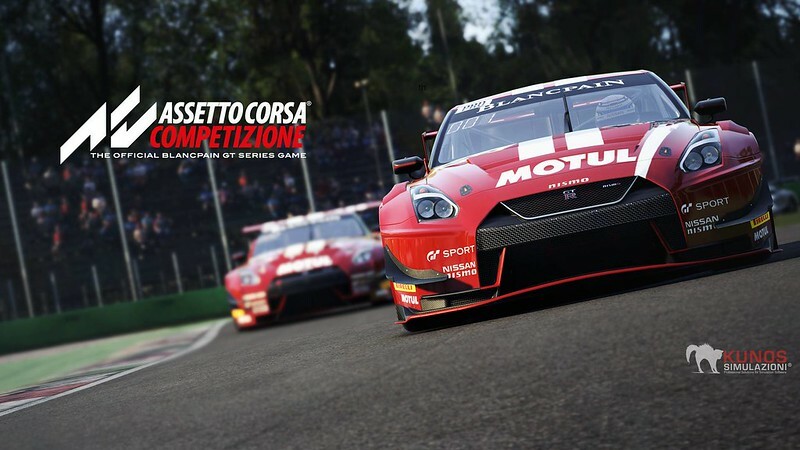 Kunos Simulazioni also stated that the release date of the full version of Assetto Corsa Competizione will be announced soon and that they will keep continue development after the V1.0 release. Opened SRO E-Sports Series – Round 1 special event. – NOTE: This special event is controlled remotely and may be invisible for a short time after the release. Added Custom Race Weekend mode that allows you to completely customize a race weekend, including a number of races, mandatory pit stops, and time multiplier. NOTE: Some features, such as the Superpole session will become available in the full release of the game. Introducing penalties for various on-track transgressions: pitlane speeding, cutting, failure to serve mandatory pitstop within the pit window. Penalties include warnings, drive-through, stop&go and disqualification. Cutting is penalized depending on time gained. Cuts with large gains result in DQ straight away. Speeding in the pitlane may remove your fastest lap in non-race sessions, and serious speeding results in DQ straight away. Added penalty for reversing. Introducing pit stops with refuel, tyre change, damage repair, and serving penalties. Introducing dynamic weather, custom weather and track status preset: the Weather page in the menu now allows you to select existing presets and enable dynamic weather for each single one of them. The preset defines the starting conditions, and also have a significant effect on what you can expect. Weather variability can range from 1 to 100%. The Custom weather preset allows you to set each aspect of the conditions, including cloud cover, the intensity of rain and levels of track wetness and standing water. Various improvements in cut detection and corresponding penalties. Fixed engine start assist sometimes failing to restart the car. Added input to change secondary (Racelogic device) pages. Cycles between current lap time, Delta, stint time and speed). The default key is ALT+D. Added input to toggle wiper on and off. Uses last selected wiper speed. The default key is ALT+W. Replay pause: now updated on random access. Replay pause: now possible to use the free camera controls with the same speed as 1x speed. Improved management of automatic highlights priority and avoiding a flood. Added possibility to reduce saved replay time in options/general. Fixed wheel speed with different replay playing times. Fixed replay focused camera for disconnected cars during random access. Next car/previous shortcut is now based on relative car positions. Improved logic for a white/yellow/blue flag and optimizations for marshalls. Fixed fireworks/track light/end-mode for replay. Added short wait time at the start of the formation to allow enough time for manual starting procedure. Fixed Safety Rating (SA) decaying in both race and solo conditions. Improved Racecraft Rating (RC) development directly after unlocking. Improved Consistency Rating (CN), should now be more sensitive to inconsistencies. Improved Consistency Rating (CC) to be less volatile. Improved in-game rating widget to highlight rating value gains. Rating widget will now allow to unlock the highest rating Competition (CP) and remain in a collapsed state then. Added data charts and insights for SA and RC rating Driver Profile Rating Page. Fixed driver category assignment in Total Rating page, added Beginner and Rookie categories. Due to the significant changes in RC and SA, both ratings will be reset. Progress in TR, CN, and CC will remain. Fixed a bug in VR that caused the racing HUD to flicker and hit performance by constantly re-rendering the overlay. Added dynamic windshield dirt effects that are cleaned off during pit stops. Added blurred brake disc visuals. Fix for wrong camera pitch after F1 cycle with lock to horizon enabled. First release of the new multi-page and multi-functional widget, replacing the old Standings widget. Introducing weather forecast and grip status widget: a simple widget on the HUD that alerts the player of changing weather forecast in 10 and 30-minute projections. It is also visible on the race and setup screens. Fixed timing issues on car dash displays. Additional server information on Multiplayer lobby page, including session status and dynamic weather indicator. HUD pages can now by cycled backward using Shift+F2. Added real-time track position widget. Weather and Track status summary now visible on the weather tile in the Single Player page. Added helper information for various single player pages and the new weather page. Added tyre pressure readout on tyre app to help users who do not use cockpit cameras monitor tyre pressure. Optimizations in multithreaded CPU calculations. Brake duct simulation. Influences brake disc heat and braking efficiency, but also rim and air temperature inside the tyre and thus pressure and general tyre temperature. Brake duct settings in setup aero screen for all cars. Setting 0 is a completely closed duct and can provoke brake fade very very fast, exceeding 1000°C. Never to be used in a real race, but added for sim racer’s gratification. Setting 6 is completely open and can keep the brakes very cold. The peak temperature is, of course, important but keep in mind that a low setting not only heats up more, but doesn’t cool down the brake in the straights, so the heat accumulates and keeps dissipating heat to the tyres. Suspension damage for all cars (WIP). Basic aero damage for all cars (WIP). Optimizations to tyre flex at very low speeds, to diminish or even eliminate an FFB vibration around 50kmh. Added tyre pressure and potential puncture influenced by riding kerbs aggressively. Improved collision model, which significantly benefits car-to-ground collisions. Also brings significant improvements to car behavior when attacking any kind of kerbs. Start ECU assist now has more discreet intervention because of the launch control implementation. To start, just floor it in 1st gear with clutch on and revs will be limited to 5000rpm. The less start assist should aid when trying to spin around on grass after a track exit. Tweaked TC logic for all cars. Permits more slippage in a straight line and more angle. Can result in more oversteer cars in lower TC settings so take care when track is slippery. Fixed bug that could cause an event to start with tyres in ambient temperature if user clicked directly on drive. Slick tyres optimum pressure range now 1-2 psi higher. Exterior engine volumes are now higher. Interior engine volumes are now higher. Fixed wind sound in tunnel/underpass sometimes not played properly. Fixed pit alarm sirens sometimes not played properly. Tuned exterior volume for engine reverb and reflection. Tuned volume attenuation curve for opponents when the player is in cockpit/chase cameras. New radio messages and alerts, including penalties, damage, tyre pressure warning. Fixed possible crash changing device for xaudio2. Fixed inconsistencies in ambient zone audio. Updated fmod to version 1.10.10. Fixed issue where the HUD would vanish after a session transition. Added dirt and visual damage to Multiplayer. Improved race-weekend track condition simulation in Multiplayer when dynamic weather is used. Safety (SA) and Racecraft (RC) ratings will change with a drastically reduced rate on password protected servers. Added server admin commands: /kick and /ban. great devices! but where to get the Simucube Wireless Wheel? any rim works or what is that? It's not fixed to the rig, so they put it there.